Bridge My Return provides military Veterans and transitioning service members with an online platform full of job-matching tools that help them highlight and utilize their skills in new careers—as well as coaching programs to combat transition trauma—at no cost to them. 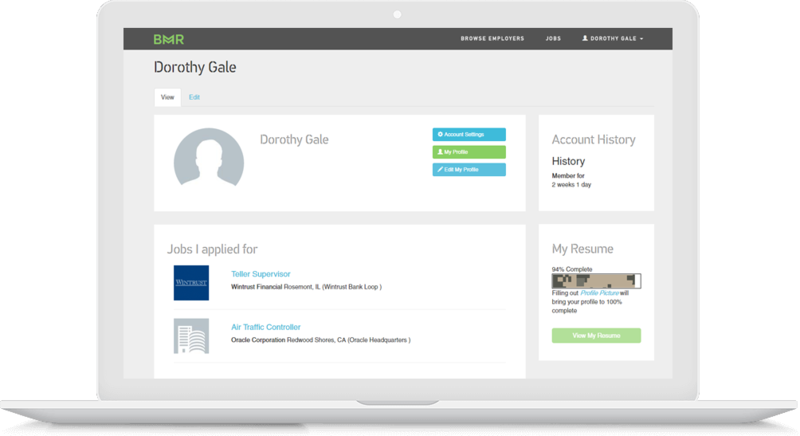 Bridge My Return’s proprietary technology includes a skills translator, automatic resume builder, and job-matching algorithm, and its personalized coaching program guides the candidate before, during, and after the hiring process. All services are provided at no cost to military Veterans and transitioning service members. Employers are charged placement fees that are in line with industry averages. The statistics on Veteran underemployment and first-year dropout rates are indeed alarming, and transition trauma and employer readiness are largely responsible. Underemployment rate for Veterans is 14% higher than the rest of US workforce. Dropout rate for Veterans within 1st year of employment is 47%. 80% of employers do not have recruitment programs for Veterans. 71% of employers do not provide training to hiring managers on Veteran training. 52% of employers do not provide transition support to Veteran hires. Our purpose is greater than the product. Our vision is to be a conduit of hope and opportunity for Military Veterans, and a magnet of exceptional talent for Employers. We take an outside-in approach: understanding the needs of veterans and employer partners, and then tailoring our offering around those perspectives. The result is a model that combines smart science with personal and professional support. Ultimately, we replace stress with success. For everyone. We believe we’re an ecosystem. A series of stories. The interconnected lives of military veterans, military-friendly employers and veteran support organizations. Stories that comprise and reflect a collaborative adventure of Career, Community and Character.